Gone are the days of old cash registers and manually typing in the cost of every purchase a customer makes…the internet has changed the way industries work, and point of sale systems are definitely no exception! Seamless new POS systems are popping up everywhere – from retail stores to hairdressing salons, doctor’s offices, petrol stations, and more. Cafés and restaurants are also reaping the benefits, with new locations installing the latest POS systems during fitout, and existing locations increasingly upgrading their out-dated systems. They’re not as expensive as you might think too…at Empreus IT we do an entire cashless POS system with state-of-the-art functionality from just $1800, and cash systems from just $2200, which includes the merchant facility. 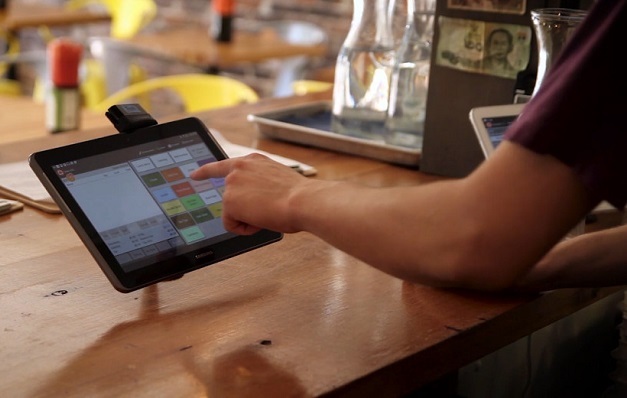 The merchant facility is run through Square, a renowned service provider offering the latest in POS technology. Their intuitive and very secure (encrypted) payment system ensures ease and peace of mind. All payments go into your bank account within 24-48 hours, and you only pay per charge (as little as 1.9%), so you can avoid locking yourself into a recurring monthly fee. It’s a long way from the siloed and time consuming approach of the past, and makes it easy for café and restaurant operators to implement a streamlined solution that naturally reduces human error and makes tracking, measuring and reporting simpler. Some premises are even utilising the latest technologies to increase sales, such as using digital menu boards (which display scrumptious images of food rather than writing it), QR code loyalty programs (which allow customers to tap their phone rather than carrying around a loyalty card), and clever apps (allowing customers to order on their way to the premise rather than waiting in line). If you’re keen to take your café or restaurant to the next level with a new POS system, or clever new digital technologies, we can help. A personalised domain for your website and emails to help you kick off a professional online presence. It’s all about making sure that your i.t. just works – so you can get on with running a profitable business doing what you do best! For more information about installing a new (or upgrading an old) POS system in your café or restaurant, call Empreus IT Support on (02) 6189 1322 or contact us now. IT security 101: What is a firewall and why should you care? Is Cloud VoIP right for your business?